[dropcap size=dropcap]O[/dropcap]fficials from the Ventura County Sheriff’s Department and Police Department conducted a seminar this Monday to train teachers about the proper methods for dealing with a school shooter and keeping students safe. The training session was conducted in the wake of several school shootings across the country, with 11 incidents in 2014 as of January 28th, the most recent being a shooting at Rebound High School in Carbondale, Illinois, on Monday. AP Government teacher Cherie Eulau believes the startling number of violent incidents may have contributed to the decision among Ventura Unified School District officials to hold the training session. “The impetus, I think, was just the number of shootings that there’s been, unfortunately,” said Eulau. Principal Joe Bova stated that the decision to hold the seminar was most likely planned at the request of an inquiry into the safety of schools. Several teachers agreed that the training was both useful and necessary. Honors Algebra 2 teacher Rick Villano was particularly adamant that the training was a good idea. Spanish 2 teacher Adrian Sanchez agreed that greater measures should be taken to keep students safe. The seminar instructed teachers in new school shooting procedures in the wake of disasters such as Sandy Hook. “They [the officers] were talking about ‘run, hide, or fight,’ which was a completely different perspective than there was before, when it was just ‘hide,’” said Bova. The teachers were also encouraged to talk to their students about the new procedures. Sanchez spoke with his classes, detailing the new ideas involving school shootings and lockdowns. Though each situation is different, he gave his students general guidelines regarding how they should react. In the event of a lockdown, students should, according to Sanchez, get low to the ground, put their phones on silent, stay quiet and move away from windows. In the event of an active assailant on campus whose location is unknown, students should hide. Students roaming the hallways when the lockdown is called should try as quickly as possible to get into the closest classroom. If the classrooms are already locked, the student should attempt to barricade themselves in a bathroom or similar room on campus and stay silent. If the location of the assailant is known, there are a number of procedures. The first option is to hide. If the assailant is far away, the teacher may make the decision to help their students flee the campus to safety. Finally, if the assailant is in the classroom, the last option is to fight. However, both Sanchez and Eulau emphasized that students should always listen to their teachers, stay with their group, and never place themselves or their colleagues in undue danger. “We were all picturing ourselves, the teachers, confronting the assailant,” said Eulau. “What you want to do is prevent people from feeling so disenfranchised that they feel this is their last resort,” said AP Government teacher Eulau. Though it is a morbid subject, Villano sees the value in discussing and planning for a disaster of the worst sort. Some of the most important safety procedures taught to teachers deal with preventing school shootings, rather than dealing with the shootings themselves. Eulau, Sanchez, and Villano all reiterated that they were most concerned with the safety of their students. “We’ll do anything to keep you guys safe,” said Sanchez. While this was a good start, the article doesn’t answer a lot of important questions about about what happened at the meeting and what the new policies are. Getting teachers’ opinions/responses on what to do in case of a lockdown is very different than talking about actual procedural changes. What even happened at the meeting, what actual “training” took place? It would be nice to read what the Ventura Police Department says the changes are and why they think they’ll be more effective. Also, what does the new “fight” option entail? It’s a pretty interesting but also scary idea that in some situations, students are supposed to “fight” an intruder with violent intent. I bet there’s a lot of interesting student and/or parent reaction on this new option, too. And how would a teacher help students flee campus? How are students escaping and to where? 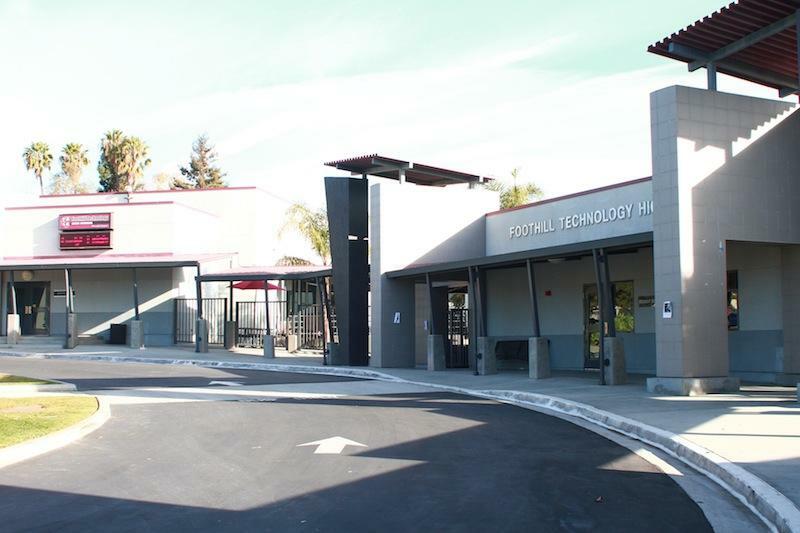 Does anyone think these changes aren’t necessary at Foothill? I’m sure other teachers and students have dissenting opinions on the training session and new procedures. For such an important topic, I was hoping the FDP would have provided more of the necessary information.